On November 7th 2018, the University of Alberta will be featuring two globally renowned sound artists to cross pollinate their research and creativity by presenting their own work. 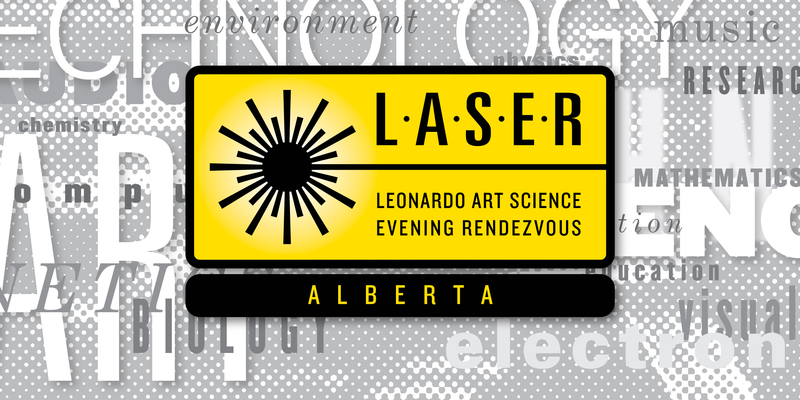 The theme of this LASERAlberta is Art and Science of Sound. The following will be speaking from 6 PM to 7.30PM in FAB 2-20, Fine Arts Building, University of Alberta Campus, Edmonton, Alberta T6G 2C9. The singing voice is extremely complex and often frustrating to master, yet it is possibly also the most beautiful, flexible and fascinating instrument of them all. It is frustrating because of its complexity and the number of components that must act synergistically and interdependently, yet it is also the most magical and rewarding of instruments if certain principles are adhered to. This session will present the core principles of the Bel Canto Manner of Singing and how they can very positively transform a choir’s tone and vocal technique by unlocking the vocal Stradivarius within us all. It will also document through objective, state-of-the-art acoustical analyses such as real-time spectrography and videostroboscopy, how these techniques allow choral sound to be more in tune and pleasing to the ear while also effortlessly carrying over the sound of a large orchestra. Principles of vocal tone will be presented from both artistic and scientific perspectives and participants will both hear and see how bel canto principles not only elevate the level of choral singing from a technical standpoint, but also enhance the expressive character of the human voice in both solo and ensemble contexts. Come and experience the true power and magic of the human voice! With a doctorate in choral conducting (U of A / IRCAM, Paris) and a master’s degree in vocal pedagogy (U. Laval), there is nothing Professor Laurier Fagnan enjoys more than inspiring singers to make the most beautiful sound possible. He has served as guest conductor and vocal coach for many choral festivals and has offered hundreds of workshops in vocal technique to choirs from Whitehorse to Seattle to Paris. He was awarded a generous grant from the Canada Foundation for Innovation to establish Canada’s first Vocal Acoustics Laboratory at Campus Saint-Jean of the University of Alberta, where he has conducted the very dynamic Chorale Saint-Jean since 1995. He has recently launched a DVD on vocal technique for choirs, which incorporates bel canto vocal principles applied to choral singing and is currently writing a book on bel canto vocal pedagogy. Recent highlights include presenting at the National Conference of the American Choral Directors’ Association and the Acoustical Society of America in Salt Lake City. Dr. Fagnan recently completed a post-graduate certificate in Vocology in the US and served as co-Chair of Podium 2016, Canada’s national conference and festival on choral singing. Recent engagements include conducting at the Académie internationale du Domaine Forget (Québec) and a debut concert at Carnegie Hall in New York (May 2018) conducting the New England Symphonic Ensemble and four Canadian Choirs. Gary James Joynes (aka Clinker): A JOURNEY THROUGH VISUAL SOUND - Extending the Science of Cymatics into Artistic Practice. Sound is a ubiquitous element in the human experience – its presence or absence defines spaces, emotions, experiences, and time. Joynes' explorations and experimentation in art are focused on the active process of listening to, looking at, and feeling art; slowing down time and linking sensoria to allow for immersion in a whole body experience. Joynes' intent is to bring the viewer to a greater realization of the impact sound has on our contemporary world and the links sound and hearing create to history, spirituality and understanding. Through the early science experiments of Ernst Chladni and Dr. Hans Jenny Joynes was exposed to the physical and visual properties of sound (Cymatics). Joynes continues this work as an artistic practice by using modified and custom-built science laboratory tools to create multisensory environments that continue his interests in the slow and meditative nature of minimalist electronic sound compositions, and the experience of deep listening and viewing. In his presentation, Joynes will take the audience through a body of work where he has looked at ways that sound can be experienced, not just as an aural stimulus, but as a physical and visual experience as well. He will explain works created with a visual and synesthetic language (12 Tones, 2011), using sound as the creative force in relation to neural synaptic activity (Soundbursting No.1, 2012) and more recent work (Broken Sound, 2015) where he explored the absence of sound as both a compositional element and a physical state representing pauses in our lives and in the cyclical nature of all life. Gary James Joynes (aka Clinker) is an award-winning sound and visual artist who has been active in the international live audio-visual and experimental music performance community for many years. He blends the beauty and physicality of sounds auditory and visual elements in Live Cinema AV performances and in rigorous and emotional photo and video installation works. The most recent chapter in Joynes’ audio-visual catalog presented a new large-scale solo installation work entitled Broken Sound at dc3 Art Projects in May of 2015. Broken Sound was awarded the 2016 Eldon & Ann Foote Edmonton Visual Arts prize for best solo art show of 2015. His previous solo show entitled Topographic Sound at dc3 in early 2013 showed his critically acclaimed work Ouroboros which had its large-scale premiere as a featured work in City Hall at the inaugural Nuit Blanche Edmonton Festival in September 2015.